Once upon a time, a girl had a recipe that she made for all her friends when they came to her house. She used it as a sauce, a dressing, a dip…the limits of this recipe were boundless. It included plenty of healthy ingredients, including organic miso paste. She enjoyed feeding it to people as she knew that it would fuel them well. But she also had a secret. She knew that if she made this organic miso recipe for people, they would fall deeply, deeply in love with her. There is no sad end to this story, the girl now has a collection of friends from all over the world who still contact her for her miso sauce. That girl is me, and today I will share that recipe. If you’re still reading this, thanks, I got carried away. But the truth is this organic miso sauce is a recipe that I get asked for every.single.time I make it. It’s the type of thing that you could eat 3x a week for the rest of your life and likely never get bored. At least that’s my current status. Before we dive into the recipe though, I want to talk a little shop on miso, as it’s one of those ingredients that is not a staple in every refrigerator and may, in fact, deserve a place on your shelf. It can be a little intimidating using a food that you’re not familiar with, so let’s break down the how’s and whys of miso. Honestly, now I’m starving. Miso paste is made from soybeans that are fermented with salt, koji (a fungus) and usually other ingredients (see more below). Miso means “fermented beans” in Japanese (according to the internet). It’s salty but its flavor depends on the type. It can be salty but also sweet, earthy, fruity, savory & has a definite umami flavor. In all, it’s actually hard to describe. Imagine miso soup and go from there. Miso is traditionally used in sauces, condiments, soups, braises and traditional Asian cooking. 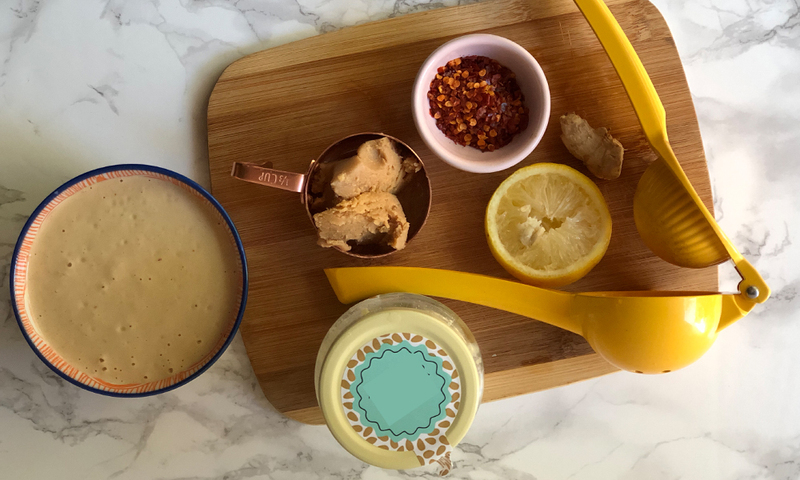 Miso is one of the beloved traditionally fermented foods that delivers a good punch of beneficial probiotic bacteria, giving your digestive tract some love, which we love. It’s high in protein, fiber, minerals (particularly copper, zinc and manganese), antioxidants and phytonutrients. The fungus helps break down the soy before it reaches our guts, letting us better absorb the beneficial properties (which lots of people can’t do with soy in it’s non-fermented state). Soy, when able to be absorbed, has been known to have anti-cancer and heart health benefits. Don’t get overwhelmed when you first buy miso as you’ll see there are a variety of options, most common are white, yellow and red, though you may even find black. What’s the difference? White miso is made from soybeans that have been fermented with a large percentage of rice. This miso has a sweeter taste. It’s best used in sauces or condiments. Yellow miso is made from soybeans that have been fermented with rice. It has a mild, earthy flavor and is great for sauces, condiments, soups, and marinades. Red miso is made with soybeans fermented with barley or other grains and has a strong umami flavor. It can overwhelm sauces or milder dishes, but goes great in heartier soups and recipes that call for it! Black miso I’ve never even seen so can’t speak much of it, but supposedly it has a very strong taste and is made with heartier grains like buckwheat. You can find miso at health food stores, Whole Foods or Asian supermarkets. We’ve yet to see at Trader Joe’s and it just depends on commercial grocery stores. Add all ingredients to a high-speed blender and blend for ~ 1 minute or until a creamy paste forms. If you want a thinner consistency (like for dressing) add more water/lemon. If you want a thicker consistency (like for sauce or dip), add an equal amount of miso and tahini. Taste and see if you want to add anything, more sesame oil, spice, you name it. Pour over a grain bowl, drizzle on salad, use a dip for veggies. Congratulations, you’re popular.